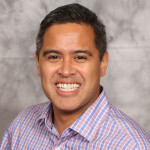 A native of Monmouth County New Jersey, Dr. John R. Marcelino graduated from Holmdel High School and then from the College of the Holy Cross. Dr. Marcelino attended the New Jersey Dental School at the University of Medicine and Dentistry of New Jersey where he served as class president for two years. During that time, he shared his clinical expertise with underclassmen as a fixed prosthodontics tutor while receiving multiple leadership and service awards. He earned his Doctor of Dental Medicine degree in 2005. Dr. Marcelino completed a General Practice Residency at the Veterans Affairs Medical Center in Philadelphia to elevate his skills in all aspects of general and restorative dentistry. Following his residency, Dr. Marcelino entered private practice as an associate first in Lumberton, New Jersey and then in Cherry Hill, New Jersey. 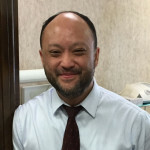 Dr. Marcelino’s lifelong goal of returning to Monmouth County to practice dentistry was realized when he opened Marcelino Dental Arts in Little Silver, New Jersey in 2010. In addition to maintaining a full-time private practice, Dr. Marcelino surpasses the requisite standards of his profession by attending numerous continuing education courses. Dr. Marcelino also stays up-to-date with current trends and advanced methods through active membership in many professional associations, including the American Dental Association, New Jersey Dental Association, Academy of General Dentistry, Monmouth-Ocean County Dental Society, and the Advanced Dental Seminars Study Club. Dr. Marcelino also instructs residents as a part time lecturer at the Philadelphia Veteran’s Affairs Medical Center’s dental clinic. Outside of dentistry, Dr. Marcelino enjoys spending time with his wife, two sons, and family, as well as, traveling, and playing guitar. He is an avid sports fan and enjoys baseball, football, and hockey. Dr. Marcelino stays active in the community as a member of the Little Silver Business and Professional Association. Our office manager Carl will help schedule your appointment during any of our convenient hours. He will answer any questions you may have about the practice, your dental benefits, and provide you with everything you need before and after your visit. If there are any issues that need to be addressed, he’ll ensure they are promptly resolved. 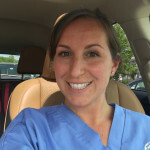 Our hygienist Carmela began her career in dentistry as a dental assistant before she achieved her Associate of Applied Science degree in dental hygiene from UMDNJ. She recently continued her education and was awarded her Bachelor of Health Science degree in Dental Hygiene from Rutgers University. Carmela has experience in all fields of dentistry, including periodontics, orthodontics, pedodontics, and adult dentistry. She is an active member of the American Dental Hygiene Association, serving on their Council of Regulation and Practice for their Board of Trustees. In her spare time, she enjoys traveling and glamping with her two children, her husband, and her dog. Simone, our dental hygienist, has been working in the field of dentistry for a number of years. She started as a dental assistant before achieving her Associate of Applied Science degree in Dental Hygiene. 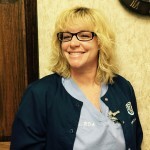 She is a very well rounded hygienist with experience in both pediatric and adult patients. She strives to build relationships with her patients, as well as, encouraging them to achieve a healthy smile. She is well known for her gentle yet thorough touch. In addition to being a music lover, Simone is an avid beach goer where you most likely will find her enjoying a good book. Nicole is our registered dental assistant. 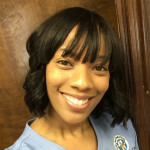 A graduate of Advanced Career Institute for dental assisting, she has since completed the required training to become a Registered Dental Assistant, the highest level of assisting possible in New Jersey. Nicole is involved in every aspect of our office, ensuring a smooth and efficient visit for each and every patient. When not assisting Dr. Marcelino, you can catch Nicole enjoying the outdoors with her husband and children.